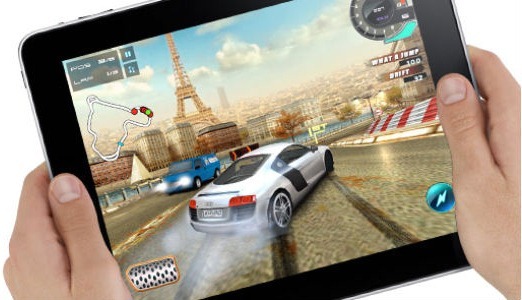 Apple iPad Tops iPhone 4, Galaxy S, and Microsoft Kinect for TIME’s Top 10 Gadget of the Year 2010 Award ! Time Magazine today has published its list of “The Top 10 Everything of 2010” in which they have picked up Apple’s iPad as the winner for their “Top 10 Gadgets” of the year award. The three other Apple products that made TIME’s Top 10 2010 gadgets list were: 11-inch MacBook Air (3rd place), iPhone 4 (6th place) and Apple TV (7th place). This is what Time had to say about Apple’s iPad. It’s not the first touchscreen tablet in the history of computing, but it’s easily the most successful so far. With 3 million iPads sold in their first month alone and a market for interactive magazines and newspapers created almost overnight, Apple finally managed to make tablet computing cool. Other notable gadgets in the list were: Android powered Samsung Galaxy S (2nd place), Google TV (4th place), and Microsoft Kinect (9th place). Last year, it was Motorola’s DROID which took the honors of the Time’s Top 10 Gadget of the year (2009) award. iPhone 3GS, which was released in the same year as DROID could only manage 4th place.